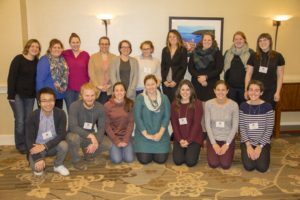 The Young Education Professionals of the Maine Education Association are MEA members who are newer to the profession of education, care about our students, our schools, and shaping the future of the profession–all while having fun! 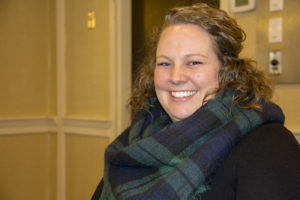 The mission of YEP-MEA members is to build personal and professional relationships with other like-minded educators through networking and community outreach to help further the cause of great public schools for every Maine student. Sign up now! 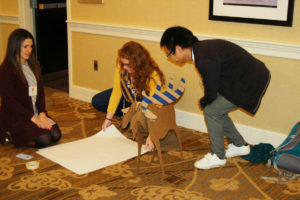 Want to join us for our fun-filled FREE YEP-MEA Weekend in Portland? Learn more about the weekend and how it can help you and your students! one that regularly reviews and refines the performance evaluation and professional growth system. the student took both a pre-test and post-test designed to measure achievement in the course You are entitled to know the complete roster of students you are held accountable for in your evaluation. Weight is a local decision, except if the initial group of stakeholders does not reach consensus by June 1, 2015, the district must adopt one of the State’s model PE/PG systems, which will include a 20% weight for student learning and growth measures Your professional input and involvement is essential to determine the method used to determine the success of students in your classroom, an important part of your evaluation. Your local Association can help you with this. Each district’s committee decides which methods are used, i.e. student projects, test scores, etc. The evaluation committee determines how and when the measurements will be done, timeliness for the collection of student growth data, how that data is weighted, etc. any evaluator must be trained in the model used prior to evaluating and be trained and be able to maintain a minimum level of “inter-rater reliability,” a term that means different evaluators observing and evaluating the same teacher should be looking for and seeing the same things. How does the evaluation rating system work? Each teacher, regardless of model used, will be classified in one of four summative effectiveness rating categories: highly effective, effective, partially effective, and ineffective (category titles can be changed by individual districts). Each district will adopt a method of combining qualitative and quantitative measures to determine an educator’s summative effectiveness rating. Be focused on improvement in the specific areas of evaluation identified as needing improvement. By Maine law, as in other states, new teachers are subject to a trial period. After being nominated for a position by the Superintendent and approved by the district School Board or Committee a teacher serves a three-year probationary period. What is a non-renewal notice and when can one be issued? During the three-year probationary period, the superintendent shall notify the teacher in writing of the superintendent’s decision to nominate or not nominate (“non-renewal”) that teacher for a teaching contract for the next year by May 15 each year. If no notice is given by May 15th of a decision not to nominate, the school system is liable for a per diem penalty until the required notice is given. Good school systems help teachers develop and grow professionally, identify any issues early and provide appropriate remediation, and provide helpful evaluations and support from colleagues. Notice of non-renewal should not be a surprise. While non-renewals are not common, they do happen and can happen for many reasons. Association members are entitled to representation and assistance in a non-renewal situation, although the options to challenge a non-renewal during probation are limited. Sometimes assistance and advice early on can help avert or prevent a non-renewal. Members should seek assistance from the Association at the first sign of an issue. What is a continuing contract? After successfully completing the probationary period, teachers are granted a “continuing contract.” Unless continuing contract teachers receive notice six months before the end of the contract year, the contract is extended automatically for one year. If conditions warrant an elimination of a teaching position (“reduction in force”), 90 days’ notice must be given. Almost all collective bargaining agreements (“contracts”) include a provision for “just cause” for dismissal and nonrenewal for continuing contract teachers. Just cause means the district must have a legitimate reason to take the action it did. In most contracts, the action can be contested by the local Association through a grievance process, and can be reversed by a neutral arbitrator if the district can’t prove it had appropriate reasons for its actions. Reduction in Force must follow negotiated contract language as well. Don’t dread probation, make the best of it During the first year and through your probation one of the most important things you can do for your career is to build relationships. You need to have effective relationships with your students, colleagues, administrators, supporters and parents. It is important to treat everyone from the school secretary to the superintendent with respect. Belonging to MEA is a great way to build relationships right from the start, and that will help you in your career. In the course of your career there may be a time when individuals (parents, students, or colleagues) lodge complaints about you or issues arise that affect your personal working conditions. A complaint or issue may lead an administrator to call you in to a meeting. In the event you are called to an unexpected meeting with an administrator, ask the reason for the meeting in advance. If it relates to a complaint or could affect your personal working conditions: Call your local Association before the meeting for advice and representation; this does not make you appear “guilty,” it only shows you are exercising your right as an Association member and is standard procedure. Likely the administrator has spoken with other administrators and received other counsel prior to meeting with you. Do not provide any information, sign any documents or agree to any requests before receiving Association advice. Provide your Association representative with ALL relevant information and documents. Keep copies and notes of all events. You have a right to representation from your Association when the meeting could lead to discipline or affect your work. Bring an Association representative to all meetings where discipline or affecting your personal working conditions appears possible. Make no public statements. As a teacher, you know a key ingredient to student success is parental involvement. It is important to foster a good relationship with your students’ parents so parents become partners in their child’s education. Introduce your classroom to parents Most successful teacher-parent teams begin with communication before there’s a specific need for a meeting. Don’t wait for “open house” or parent conferences. Begin communications by calling parents within the first two weeks of school. Extend an invitation to join in creating a successful learning experience for their student. Many teachers send a letter to all parents at the beginning of the school year. The sample letter to parents at right was drafted by a fifth grade teacher and sent at the beginning of each school year. Get your principal’s approval of any letter to parents before sending it home. If the student comes from a home where English is not the primary language, seek the assistance of ESL teachers, foreign language teachers or other community resources for translation and communications assistance. Build rapport with parents Actively involve parents and extended family Take the initiative to involve parents. They want to help their children learn. When parents are not available reach out to grandparents, foster parents or community volunteers who are serving as mentors or “big brothers” and “big sisters” to your students. Encourage parents to provide their students with a quiet study area, a good breakfast, a time to read together, and guidance, supervision over television and computer habits, and plenty of sleep. Give parents and grandparents a chance to share their talents and experiences in the classroom, on field trips, or before school-wide audiences. Give parents a hands-on role in their child’s work and experiences in school. Require parents to sign homework and permission slips for activities. Join your school’s parent-teacher organization and encourage your students’ parents to join. Provide your child with a place to study and read to and with him or her. Ask your child about school every day. If your child has homework or special projects to do at home, make sure they are completed. Want to know more and stay up to date with YEP-MEA? Join our list and we’ll be sure to let you know about upcoming outings and training events. Let us know how YEP-MEA can help you in your career. In our Facebook group we post updates on YEP-MEA offerings and other important education items that could be useful to your work. Don't miss out on our next social or training because you didn't "like" us! While you're there, might as well make sure you like the MEA page too! As a young education professional of the Maine Education Association, you are eligible to attend the FREE YEP-MEA weekend in Portland. Hotel and food are paid for by MEA. This weekend is dedicated to early career educators who are working to engage other educators who are newer to the profession. Discussion will center around how to build and grow your association so you can better advocate for your students. There is time to both relax and talk with new friends and time to learn as well. The MEA is always looking for more new educators to be part of its Young Education Professionals group! Interested in free professional development? Have an idea you want to share with other young educators? Want to network and socialize with people just starting out? There are multiple opportunities for early career educators to have their voices heard on a local, state and national level when you engage in the Association. Now is the time to be part of the conversation. Contact us! We will be in touch soon!